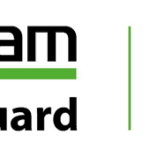 Since joining Veeam, I have worked extensively with one of the newest products Veeam has to offer called Veeam Availability Orchestrator, or VAO. Veeam Availability Orchestrator makes it easy to create detailed Failover Plans to protect your VMware vSphere Virtual Machines and applications. It also automatically generates customizable documentation you can have sent to key stakeholders like application owners and executives. This post is going to round up everything I have written about Veeam Availability Orchestrator, and will constantly updated as I write more. Veeam Availability Orchestrator is very easy to use, and this content makes it even easier to get up and running in no time at all. 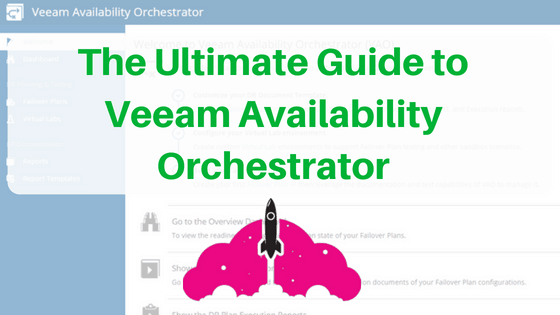 This content all about getting started with Veeam Availability Orchestrator. First and foremost, the best way to tell Veeam Availability Orchestrator what to protect is to use VMware vSphere Tags. Need help getting started with them? Check out The Amazing Power of vSphere Tags Right Here. If you are going to be taking advantage of the 30 day free trial of VAO, be sure to read both of those articles. Veeam Availability Orchestrator leverages Veeam Backup and Replication under the covers as a source for virtual machine replicas, and to start a Veeam Data Lab. Luckily, my first Veeam Whitepaper called Technical Overview of Veeam Availability Orchestrator with Veeam Backup and Replication is hot off the presses, and explains everything. A must read when getting started! There is also a number of terms we use with Veeam Availability Orchestrator such as Failover Plan and VM Group. Be sure to get up to speed with the blog Understanding VAO Terminology. A Failover Plan is a big deal in Veeam Availability Orchestrator, it is your step by step plan as to what happens to your Virtual Machines during a failover. I have showed demonstrations of how easy this is to create – it only takes about five minutes! This blog is a step by step guide of how to create a Failover Plan. Veeam Availability Orchestrator can do so much more than just protecting your virtual machines from disaster. With the power of Veeam Data Labs, VAO can spin up a completely isolated copy of a production environment, so you can do whatever you want to it, then throw it away! Learn more about increasing the ROI of those idle disaster recovery resources! I am working with much more with Veeam Availability Orchestrator! Be sure to stay tuned for even more cool content like launching a Failover Plan with Slack via VAO’s RESTful API, and leveraging custom steps (which are scripts you can upload to VAO) to do all sorts of cool stuff!